Now available! Jim's new CD is here. Jim has just released his second album, "Only Two Things." Keeping with his touch and musical sensitivity his listeners appreciate, the tracks on this new CD provide some of Jim's finest material yet. This new CD has been mastered by GRAMMY-winning mastering engineer, Mark Donahue, at Sound Mirror Studios in Boston. New CD: "Only Two Things"
*CD cover art photo image: courtesy Montana Panoramic. See more photos of the West and Montana at Montana Panoramic. 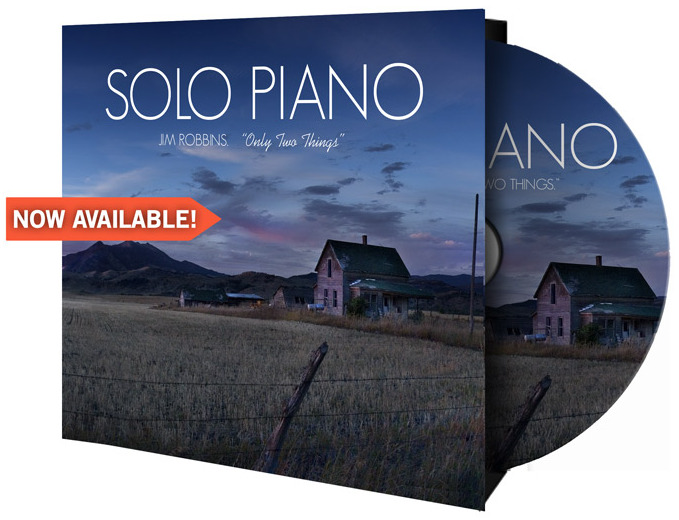 Posted on July 17, 2013 by Jim Robbins and tagged solo piano "only two things".